Genuine Smooth Leather Stitched Edge. Perforated Center Line with smaller holes all around the belt strap. 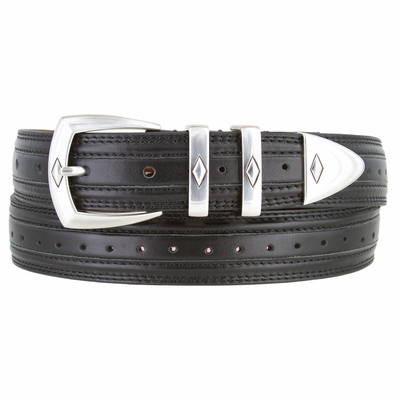 Featuring a 4 piece shiny silver plated buckle set with a diamond design in the middle. Stitched all around the belt for endurance.